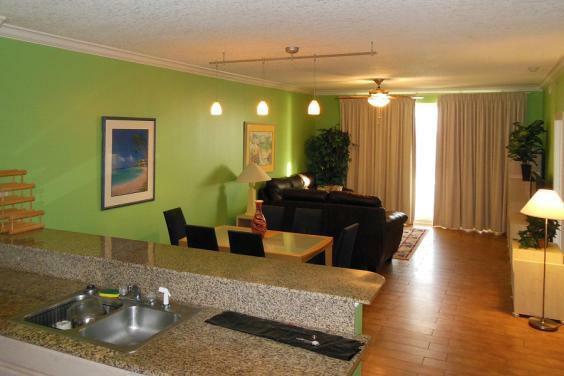 Our condo is an Ocean front, 2 bedroom / 2 bathroom condo located on the 5th floor of Twin Palms resort. It has an open floor plan: the kitchen opens into the large living room with the dining area. 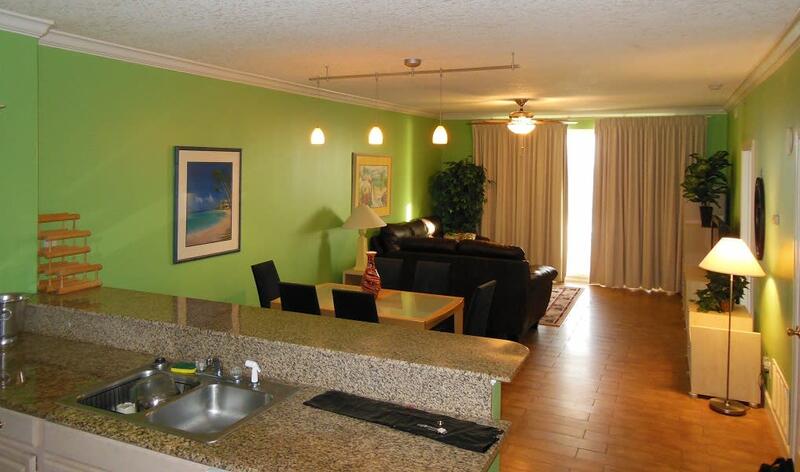 Fully equipped kitchen has granite bar top and counter tops. Dinning table is easily expandable to seat 8 people comfortably. There are two spacious bedrooms. 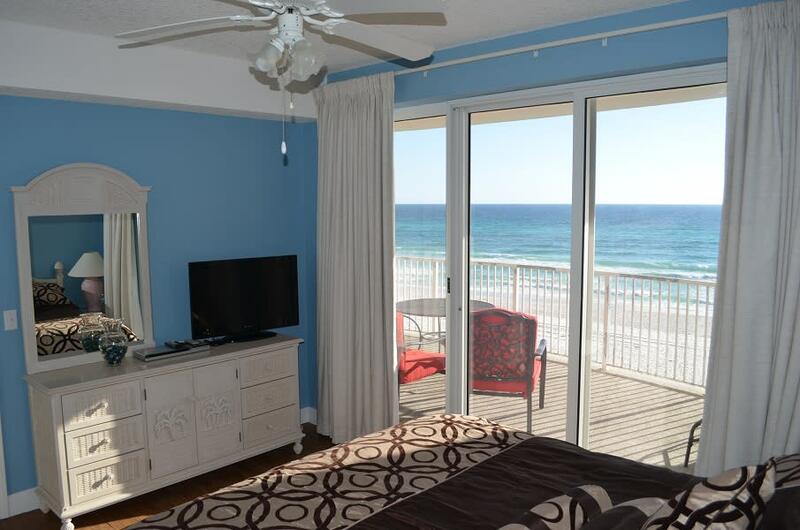 Master bedroom has king size bed and is facing the Ocean, it has access to the balcony. Second bedroom is furnished with 2 queen size beds. Plus there is a queen size sleeper-sofa and sleeper ottoman in the living room. There are 2 full bathrooms in this condo. Second bathroom was recently renovated with dual sink vanity. 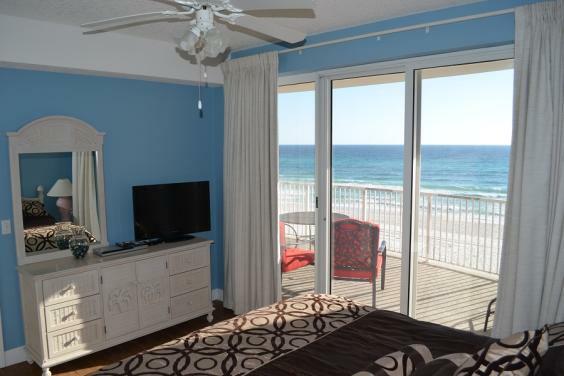 Both living room and Master bedroom have access to gorgeous over-sized balcony overlooking the white sandy beach and the turquoise Gulf waters. The entertainment package we offer includes Xfinity digital cable service with On Demand movies (available in HD), network connected Blue Ray DVD player. We also offer free Wi-Fi Internet connection and we stock a few dozen DVD movies for your enjoyment. 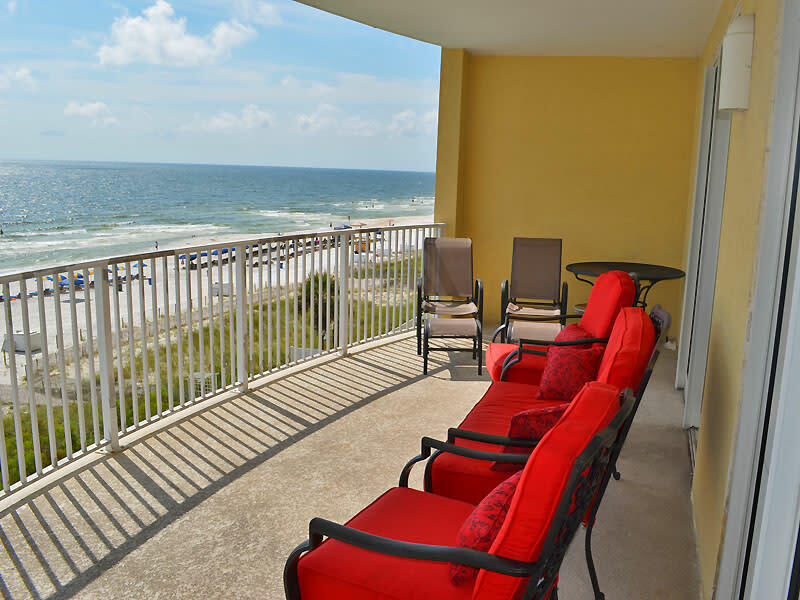 We have set of 4 large folding beach chairs, couple of smaller chairs, and 7 ft. beach umbrella for our guests to use while staying in our condo. 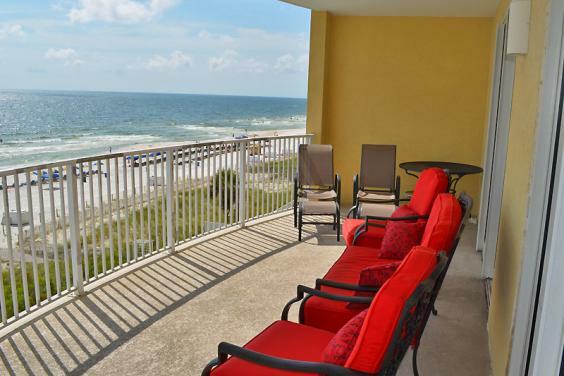 The Twin Palms Resort is located at the East end of Panama City Beach, where the Front Beach Road meets Thomas Drive. 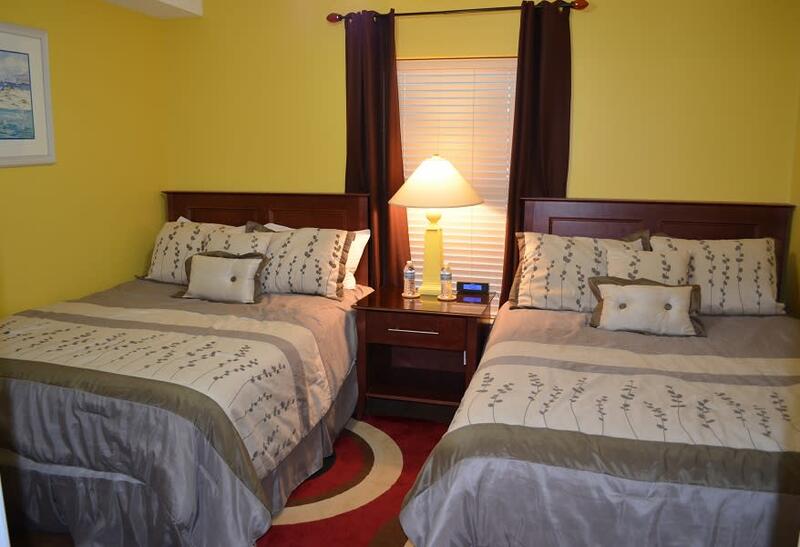 It has outside pool, outside heated Jacuzzi, inside heated pool, sauna, steam room, and exercise room. There is a nice picnic area on the Ocean side with 2 gas grills for you to use. Our condo is on the 5th floor (the first 3 floors are designated for parking garage, i.e., the parking is below the building) - no long walks from the condo to the parking garage across the street (as in many other resorts). Also, there are just 5 units per floor (18 living floors total) with 3 elevators serving the building, which translates into the best unit-to-elevator ratio among all Gulf front high-rises in the area. Therefore - the elevator waiting time is much shorter. The condo total square footage is about 1146 sq.ft.